Well this page is about me as you might have guessed. Apparently I look something like a serial killer or an arab terrorist depending how you look at me.. This is me in after shaving off the safety blanket on top of my head and growing some mad new facial hair. 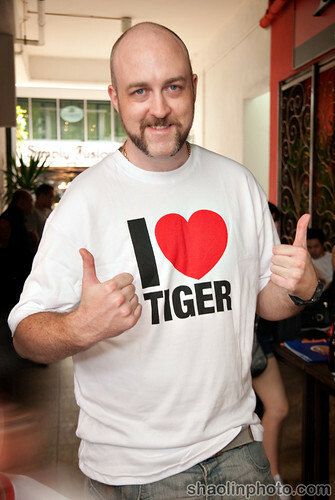 Taken at the Nuffnang Tiger Run in February 2010. More pictures of me here. If you want more pictures you can see a lot more beauties in Flickr – You can my Collections here and my Sets here. I am an early 30’s geek from UK currently residing in Kuala Lumpur, Malaysia living the high life. I work in Computer Security, yes that’s correct I am an 3l33t h4x0r…Or something like that. Mostly I do penetration testing (Yes ladies I am a professional penetrator), I also do security audits, stuff for BS7799/ISO27001 and training for Information Security related subjects. If you are interested in some consultancy or such like (globally is fine) let me know.. I also do some other stuff like social media consultancy, SEO, online strategy, community building and so on. I love photography and Flickr! 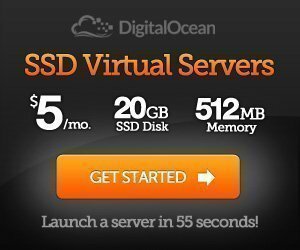 Me and a friend co-founded the world famous and well respected web-site http://www.security-forums.com in 2001, commonly known as SFDC or Security Forums Dot Com, which I recently got ‘fired’ from for disagreeing with the new management. Ironic seen as though I created it and it was the vision of Chris and I that made it the success it is. Many eons ago I also created one of the top 5 infosec blogs, which I relaunched in February 2006, it’s been doing well (It’s been on Slashdot frontpage twice and Digg frontpage 6-7 times). Around that time I also wrote a white paper on how to secure Windows 2000, one of the first with detailed instructions….shortly after this a flood came with many more people expanding on it and O’Reilly even published a book on the subject. I’ve also appeared on BBC Radio in the U. K. talking about computer security and viral outbreaks, been in the national Malaysian papers regarding computer security, spoken at various security conferences and co-authored some articles about the same subject for various resources. I’ve recently taken up writing for some Malaysian magazines too (mainly on security/networking). I’ve been in a bunch of papers/magazines in Malaysia about blogging and even on TV once too – I’m planning to make a media page to collect it all in one place (I promise I’ll do it some day). Plus my pictures got published in a bunch of places – the one that made me proudest was in FHM of course! I also founded Shutter Asia Photography Forums in March 2007, a community for food, travel and photography in the Asia region. Where did you get the name ShaolinTiger from anyway? How long have you been in Malaysia and why do you stay? So what do you do…APART FROM GEEK STUFF? Well as you can probably guess from my nick…and this domain I really dig martial arts and photography (as explained above). And various others which I don’t really count.. I expect at some point in the future you shall hear my opinions and theories about modern martial arts, mostly of which are quite extreme…so be warned, especially if you love Karate or Tae kwon-do. If I get bored of I. T. my second career choice is to be a bodyguard, don’t laugh I’m half qualified already! I also really love SCUBA diving, you’ll find lots of pictures in the Photo Gallery when I fix my fried computer and sort them out. I’m PADI (Pay And Dive Immediately) certified, not NAUI (Not Another Underwater Idiot) and I’m currently OW-Advanced..Perhaps going to go for DiveMaster in the future if time permits. If you live in KL and like diving in and around Malaysia, drop me a line perhaps we can hook up sometimes. My car is kinda cool I think and in general I love things that go fast, and I love to go fast..that includes Motor-Bikes, Jet-skis and anything else a bit crazy. Outdoor kinda stuff is cool by me too, that includes hiking, jungle trekking, white water rafting, canoeing, abseiling and all that funk. 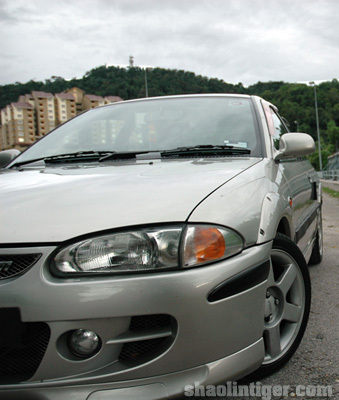 I was previously driving a Proton Satria GTi 16v 1.8 for about 4 years, one of the best Protons ever made IMHO. Especially this one, the year 2000 model with the original built in Japan Mitsubishi engine and ECU rather than later lame assembled in Malaysia units with a weak Siemens ECU. I did quite a few mods to the car, mostly on handling (TEIN street racing suspension, Whiteline strut bars, nylon bushes, imported sport rims, Pirelli Dragon tyres, Ferodo brake pads) and a bit on the engine (Mivec manifold, K&N air filter, port and polish, service injectors etc). I recently changed tho in October 2009 to a car I’ve been dreaming about for a long time, the monstrous 2.0L Turbo Mitsubishi Airtrek Turbo. 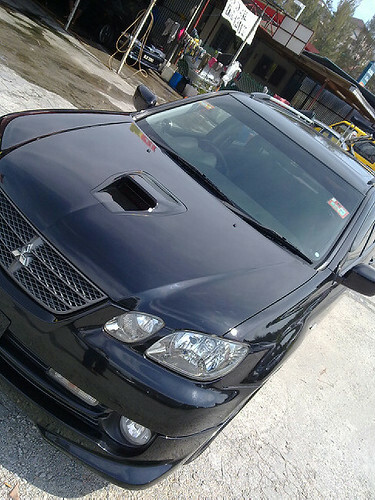 Basically an Evo 7.5GTA chassis and engine with a larger cabin. You can keep up with Project Airtrek here. I love reading and read all kinds of unconnected books, I love both fact and fiction and read the whole gamut from religious texts, psychology and philosophy classics, fiction (my favourite is cyberpunk, but I also like fantasy and other random stuff) and I love biographies, especially from people who’ve had hard lives and people who have influenced society in some way. I also (used to) play a lot of Warcraft, I don’t really play any other games much…I went through the whole console thing (NES, SNES, PSX, Dreamcast, PS2) and I play the odd game now and then if it comes highly recommended. See below for more on WCIII. I did get a PS2 though I only really play Guitar Hero, I’m planning on a Wii though – and perhaps an Xbox 360! Oh yah I bought a Nintendo DS Lite recently and love it! I got a Wii and Guitar Hero and I’m absolutely loving it. I also REALLY love food and cooking and of course the eating part. You can find more of my food related stuff at We Ate This (when I update!). WTF is this Warcraft/DOTA business all about? 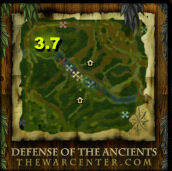 You can check out all you need to know here: What is this DOTA you speak of? All rights reserved. All trademarks acknowledged and ownership rests solely with the registered owner(s). Contents, layout, design and anything else found on this domain http://www.shaolintiger.com is intellectual property of the owner (ShaolinTiger) and copyrighted as such. Legally speaking everything is Copyright ShaolinTiger with all rights reserved. The information, posts, comments, text and graphics in this site are protected by copyright. You may only use the information, text or graphics contained in this site for your own personal use and may not reproduce, adapt or publish it, in whole or in part, for any other purpose without the express written consent of ShaolinTiger. The shaolintiger.com graphics and design may not be used, downloaded, copied or distributed in any way. You may link to articles and post with brief excerpts. My photographs are all copyrighted and use for commercial work is STRICTLY PROHIBITED, if you wish to use any of my photographic work or commission me for a job please contact me. I do not guarantee any information provided on this site or in the comments, I disclaim any liabilities for any information I carry. Any information you contribute to the site becomes my property. I reserve the right to edit or remove any comments for any reason whatsoever at my discretion. By using this site you agree not to hold me or liable for anything stated within it’s pages. Comments are checked over and posts are thought about, if there is something you feel should not be here for whatever reason (offensive, racist, copyrighted, libelous etc) please contact me immediately.